eolas informationsdesign is managed by Gabriele Schicht, an experienced technical writer. 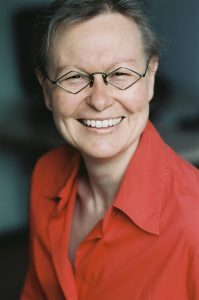 Gabriele Schicht, born in 1965, studied German linguistics, Romance languages and literature, and computational linguistics at the Ludwig-Maximilian University in Munich where, following her graduation, she worked as a research assistant at the Centre for Information and Language Processing . From 1993 to 1999 she worked as a technical writer, and from 1999 until the end of 2000 was managing director of a documentation company in Munich. Between 1998 and 2000 Gabriele was a lecturer in technical writing at the University of Applied Sciences in Karlsruhe. In the winter semester 2008/2009, Gabriele had a teaching assignment at the Hochschule für Angewandte Sprachen in Munich. She taught “Online documentation” for students of the Master program “Technisch-wissenschaftliche Kommunikation”. She is co-author of the book SAP R/3 – Der schnelle Einstieg (Addison Wesley, 1999) or Flying Start with SAP R/3 (Addison Wesley, 2000). This book won the prize for “Excellence in Technical Communication” in the category “Software Guides” awarded by the Society for Technical Communication in the European Technical Publications Competition.